Codino recorded his second straight grade stakes victory in the Tokyo Sports Hai Nisai Stakes at Tokyo Racecourse on Saturday. 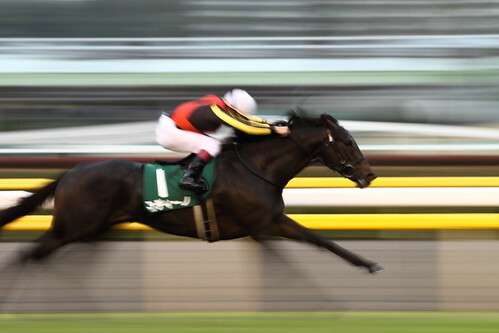 He finished the 1800-meter on turf in 1:46.0 to break the previous two-year-old JRA record. Leading two-year-old colt extending his record to a perfect 3-for-3. Sadamu Patek gave Yutaka Take his first Mile Championship winner. Sadamu Patek held off favorite Grand Prix Boss in the Mile Championship at Kyoto Racecourse on Sunday. Take won his first grade-1 victory since December 2011. Sadamu Patek improved his record from 16 starts to 5-2-2. Sadamu Patek is 4YO Colt.